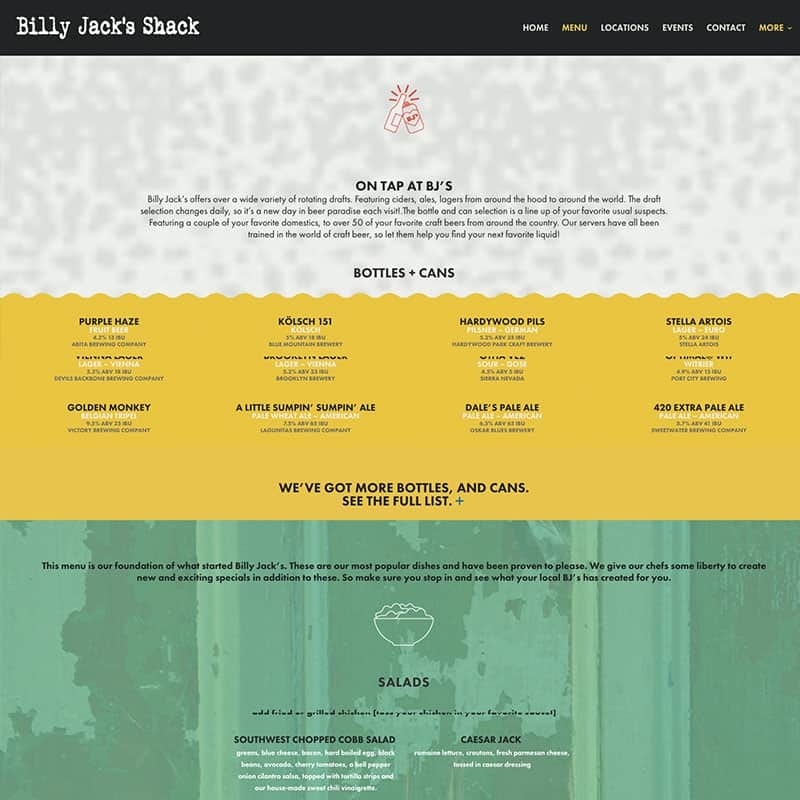 Billy Jack’s Shack is a restaurant and bar that originated in Harrisonburg VA. The organization is expanding as franchise operations open across the country. 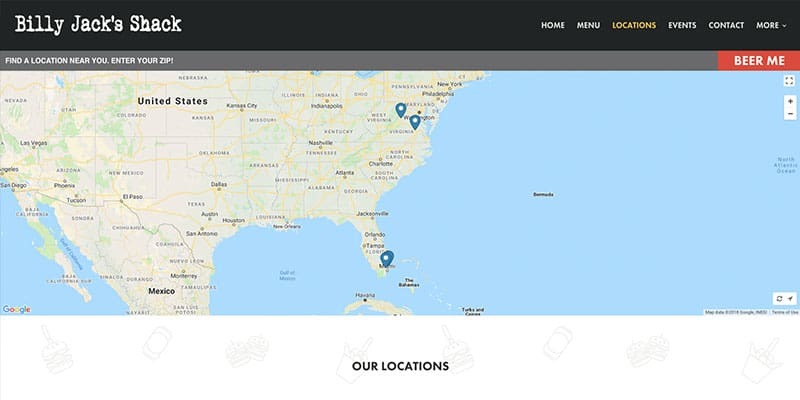 Their original one location site was not matching the brands growth so a custom design was created and implemented. 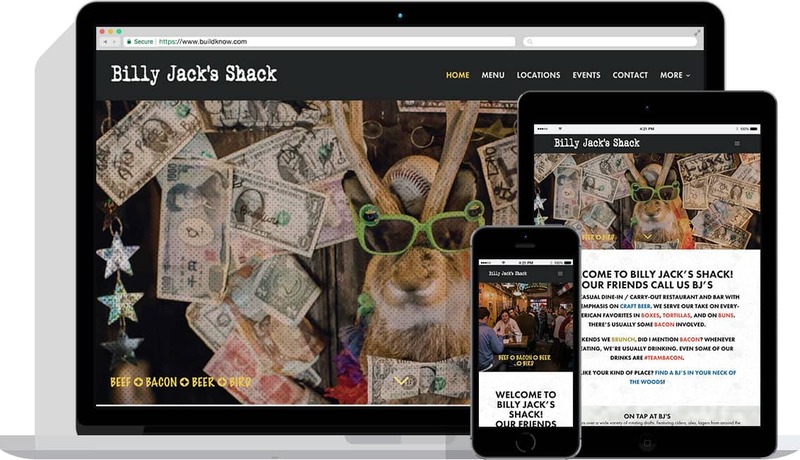 As Billy Jack’s Shack started to grow, it became clear that their existing site was no longer meeting their needs. 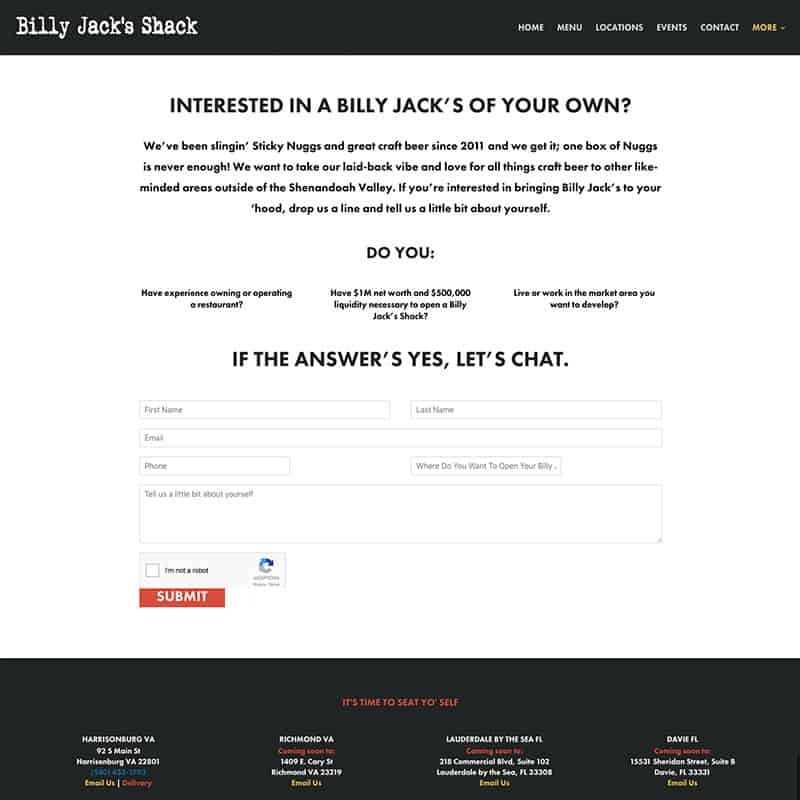 Billy Jack’s needed a site that would portray the value of the brand to potential franchisees and enable them to contact them. 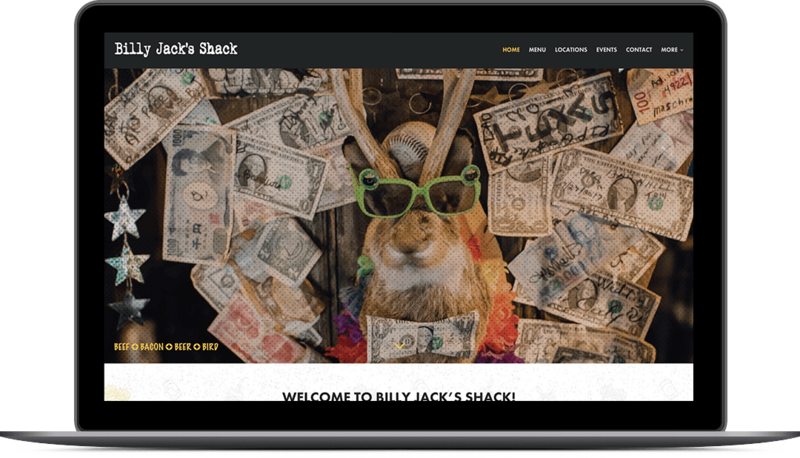 They also needed a way that site visitors could locate their nearest Billy Jack’s Shack so we utilized HTML5 geolocation services to pinpoint them on a map.